Kitchens are best described as the "heart of the home" and are typically the most used room. That's why it's important that the kitchen is inviting, pleasant, and truly reflects who you are as a builder. Whether you're looking for a modern, transitional, or contemporary look, our kitchens are beautifully crafted to suit any style in any type of dwelling. That's why residential builders with high standards and discerning taste trust Abel Corporation. 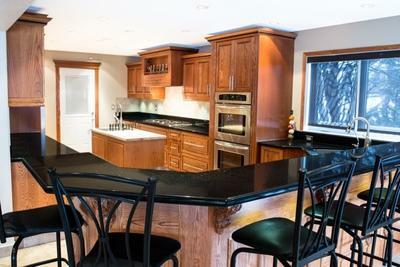 At Abel, we can provide cabinetry that meets your needs without going over budget. Our expert team will guide you through the process of selecting the right finishes, accessories, and products to design kitchens that are better than you ever imagined for the condominiums, apartments, or planned communities you're building. We offer a wide range of wood species, colors, styles, and finishes that ensure your finished kitchens are tailored to your needs. Your products will be designed with functionality and beauty that reflects what matters most to you and the families who will eventually call your buildings home. We also specialize in bathrooms, laundry, home offices, closets, and custom projects.